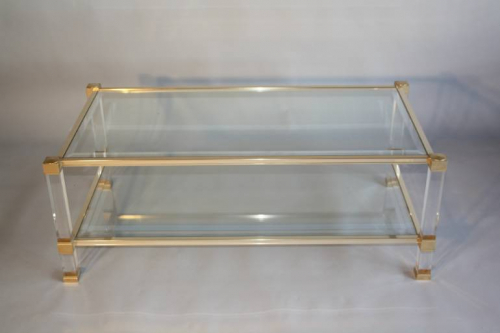 A classic, elegant PAIR of Pierre Vandel two tier bevelled glass and lucite coffee tables. In excellent original condition. With Pierre Vandel, Paris tag. French c1970.